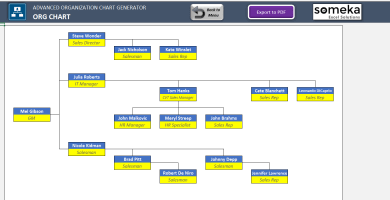 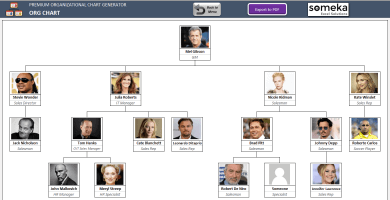 Do you need organizational chart for your company or family tree chart for illustrating your familial relations? 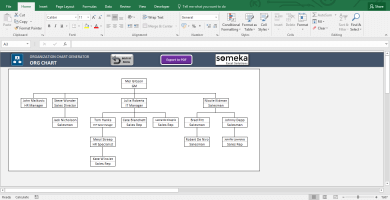 Or have your ever considered using Excel, instead of using Powerpoint or some other organizational flow chart software? 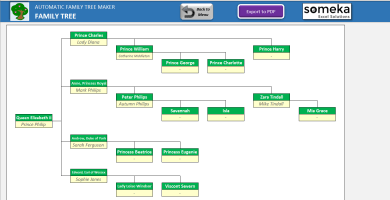 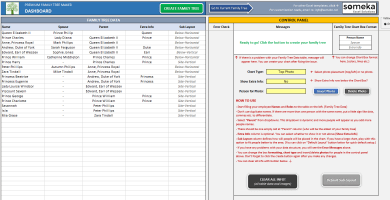 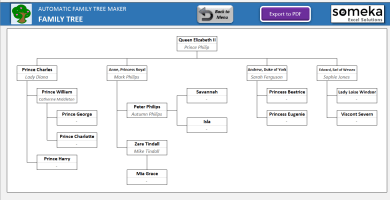 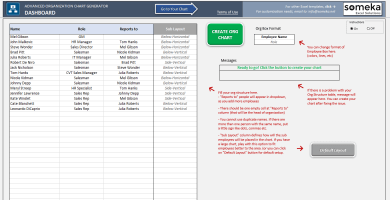 Browse our ready-to-use auto chart maker collection in order to find a quick, user-friendly and low-cost alternative to make your own org chart or family tree. 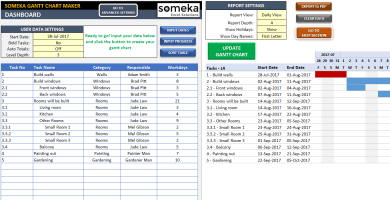 You will see, how easy it is to work with a data linked tool, since your chart gets updated once you update your organizational data. 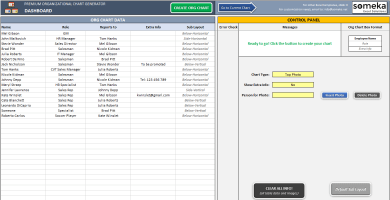 Moreover, you will be able to upload photos in latest versions. 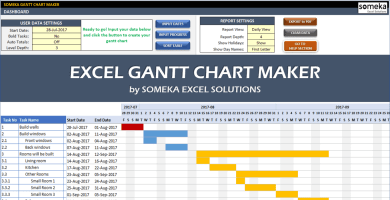 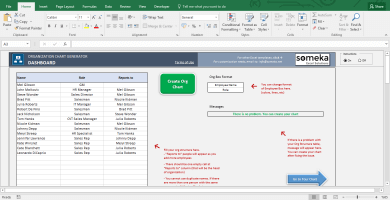 Someka Auto Chart Makers are designed to work with Excel 2007 and later versions. 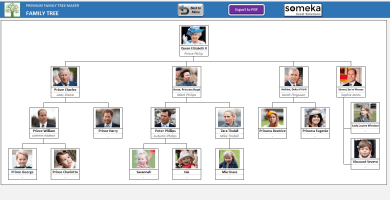 In addition, they work both on Windows and Mac.